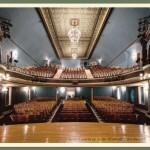 The historic and beautiful Stoughton Opera House has released it’s line up for the 2017-2018 season and its amazing! Hurry and get your tickets. Shows are selling out fast!